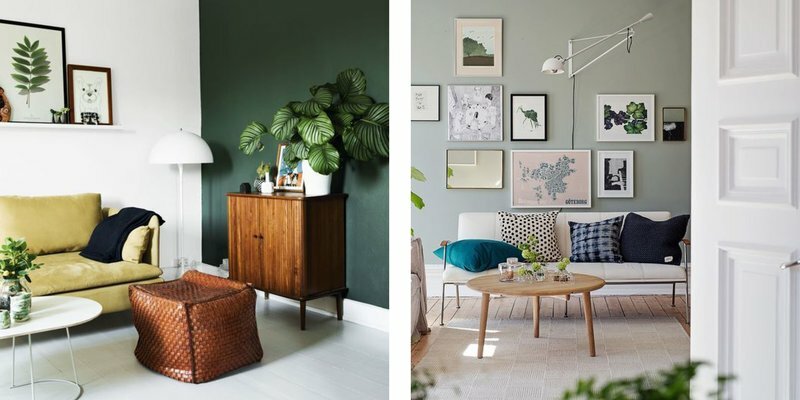 Colour experts Pantone have revealed Greenery as their Colour of the Year. And it’s getting us excited. We love green so much that we even chose it for our brand colour, and now we’re looking forward to seeing it everywhere in homes. Pantone’s star shade is bright and zesty. It could even be called the boldest shade in the green palette. The colour encourages us to be more playful with green and to take a fresh outlook on our home design. So how can you bring green into your home? There’s definitely more way than one! We’ve pulled together our 5 favourite tips for featuring this colour of the moment. We love a feature wall. And if you do too then why not give one of yours the green treatment? Complement a neutral room with a muted shade or opt for a deeper forest-green in bolder interiors. Just one wall is enough to create some fantastic interest in your room. Not ready to commit to a green scheme? You can go just a little bit green with your accessories. Add the shade in fabrics, vases, art or just a single decorative item. The less you add, the bigger the impact. H&M Home have a great selection of green accessories in store right now. Love to go bold? Then go green in a big way with a green sofa. This is the furniture must-have of the moment. And they’re even better in velvet. 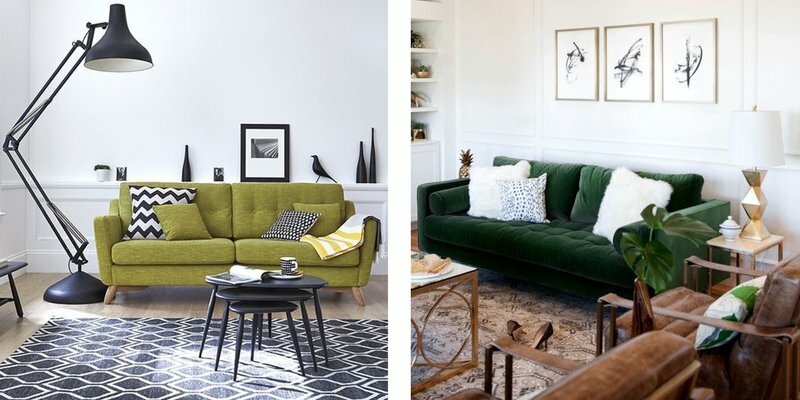 A green sofa will really take the limelight in your room and will pair well with so many other colours! Tackle the green trend with the real greenery of houseplants. These are everywhere on the interiors scene and we can definitely see why. There’s nothing quite like the fresh, organic feel of having them scattered around your room. Choose a selection of plants in all shapes and sizes for a fun, outdoor-inspired feel. Introduce green in a subtle and lovely way with a muted shade of kitchen cupboards. These pair beautifully with warm flooring and a neutral palette. They’ve got an understated feel that pairs easily with modern or traditional décor. 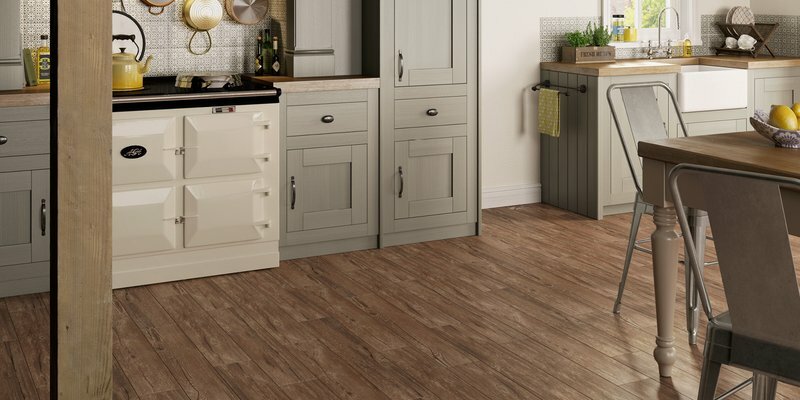 See them here with our Weathered Larch floor. Find more inspiration on our blog.